In addition to church pews and church furniture, we also build custom benches for any place that needs them. 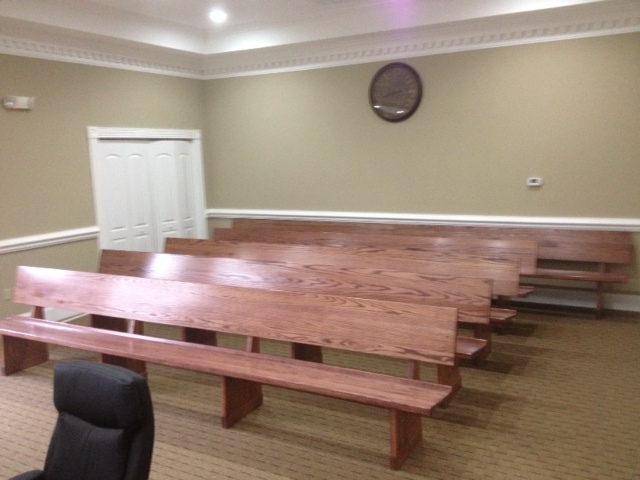 We’ve installed benches in courtrooms in the past, like these shown at left. Solid wood, open backed styles are popular but aren’t as comfortable as padded options. But padded options often look like church pews. The differences between benches and pews are subtle but important to understand—it’s more than just the location. Many people believe that the only difference between a church pew and a bench in a public building like a courthouse or museum is the building, but there’s more to the difference than just the location. The design and style of the furniture determines whether the furniture looks like a church pew put in the wrong place or a bench made for the location. One option is the conventional solid wood bench shown at the top. These open back benches are perfect for public buildings and look great in places where seating needs to be more flexible than chairs. They don’t look like a church pew. These are perfect for courtrooms, informational video rooms in museums, or even for waterproof finished outdoor benches. Solid wood benches without padded seating are easier to care for and more appropriate in situations where padding might be damaged. Padded benches are an option too and should be considered for areas where people are expected to sit longer than a short period of time. Padding adds comfort but can easily make a bench look like a pew. When selecting a bench with padding, be sure to choose a end style that fits the location. For instance, cantilevered ends usually suit courtrooms better than a floored end, which can give a distinctly pew-like look. Contemporary ends with slim profiles, like the one show at right, are often great choices for benches because they aren’t reminiscent of a church pew. And of course a custom pew can look great anywhere. 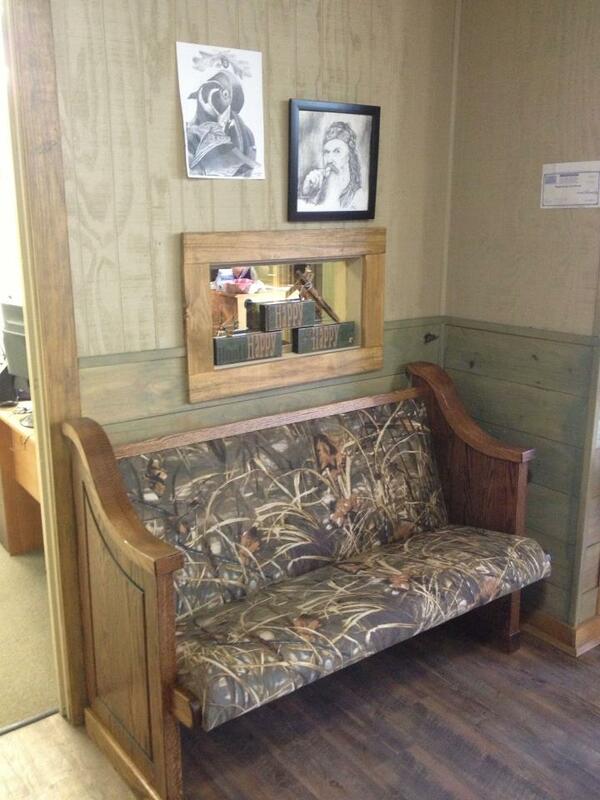 Just look at the special camo bench we created for our friends on Duck Dynasty! 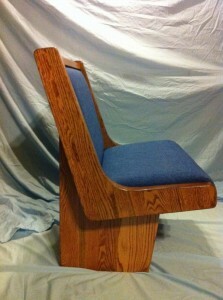 With the special fabric, the traditional church pew shape fits right into their office. 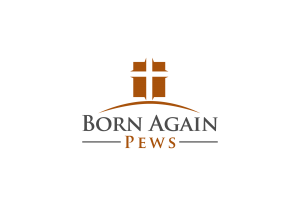 Since Born Again Pews builds every pew or bench from scratch, we can accommodate special needs and make sure your pew or bench suits the purpose you have in mind for it. If you’re in need of benches for a public building but aren’t sure what’s best suited for your needs or how to get a great looking bench, contact us today. We can help figure out what will best suit your building and your needs.